The timeless design of this cap will never go out of fashion and can be worn in any season as a great accessory to your casual or athleisure outfit. 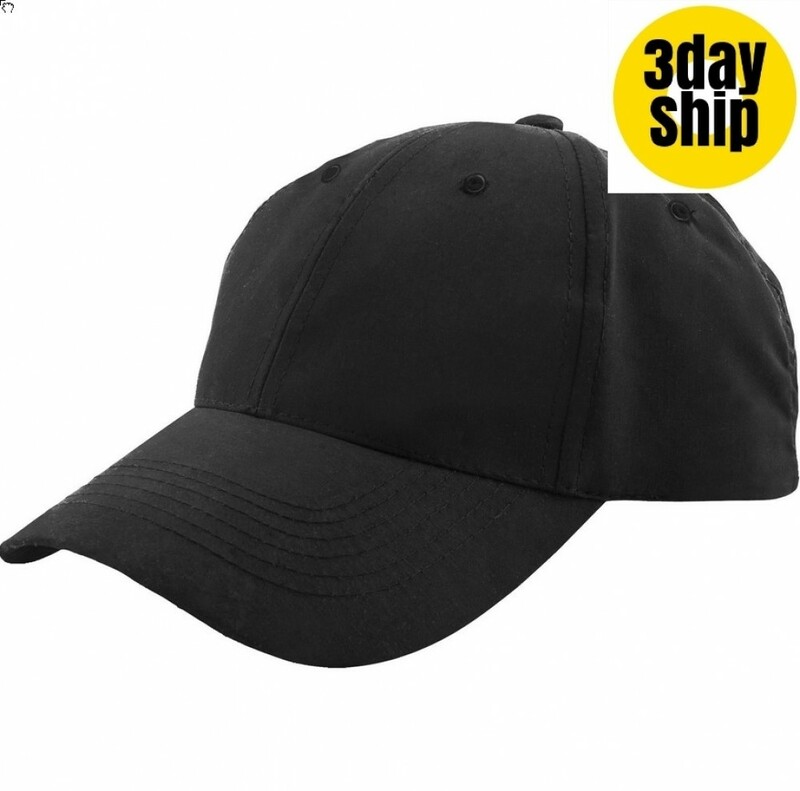 This peaked cap comes in a solid black, ideal for any season. The cap features a fashionable design that is double stitched along the seams and on the peak for extra strength, ensuring that it will always retain its shape. The fabric is a polyester blend which is light and breathable, allowing you to remain cool while being protected from the harsh sun rays. By simply wiping with a damp cloth, the cap will always look as good as new. We use only top quality fabrics that are guaranteed to be long lasting and durable. Our pricing includes 8k embroidery of your personalised graphic. Embroidery can be done on the peak, sides or back of the cap and embroidery can accommodate multiple colours, making your logo really stand out on the black backdrop. A once off set up of $50 applies for orders under 50 units. Delivery of this item is within Australia only. Please note that our pricing excludes GST.